Whether it’s algorithms, appearance or something else, social media marketing is always changing. This makes cracking their codes difficult, especially for startups or businesses looking to increase followers. Dedicated to success on social media marketing, CB&A recently gathered to attend the World’s Largest Webinar (#WLW14) hosted by HubSpot to procure social media secrets from the experts themselves. 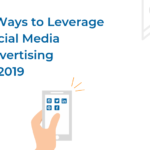 Featuring speakers from Twitter, Facebook and LinkedIn, the webinar provided key takeaways, some of which I’ve summarized in this post. What do you include when setting up a profile? Twitter: When creating a Twitter profile it is important to have a simple, descriptive biography that includes a URL, making it easy for customers to find you. Since 75 percent of users access Twitter through a mobile device, relevant and eye-catching pictures are vital to draw people to the profile. Facebook: Although historically difficult for businesses to promote through Facebook, it is important to build a social media marketing presence within the platform. As with other channels, a complete and accurate profile is critical. Keywords related to the business and captive pictures can also lead to increased views. LinkedIn: Create a company page that is informative and engaging. A compelling description and keywords also help. Twitter: Give your audience what they want. Use the 80/20 rule when tweeting; 80 percent of tweets should be about helping your community of followers and 20 percent should be about promoting the product. Use hashtags correctly. Join conversations around events and build momentum around hashtags you create. Facebook: Images, images, images. The most social media marketing engagement happens through images on Facebook. Keep the conversation relevant and on topic to the core of your followers. LinkedIn: Here it is important to think about professional mind frame customers have when visiting the site. Best practices include posting about industry trends, company updates, and having strong attachments. It is difficult to over tweet but you can over Facebook. Facebook posts last much longer on a newsfeed than tweets; therefore if you post on Facebook constantly, followers can become bothered. The biggest mistake that businesses make on social media is not being human enough. Individuals respond to posts that read as if you said it in person. Make it personal by showing the faces behind the name and you will see results. Ultimately, don’t be afraid to experiment! 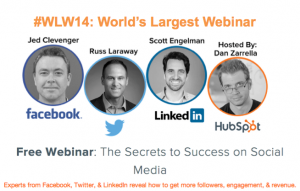 What is your company’s biggest hurdle or biggest accomplishment in social media marketing? Share in the comments below!